We began by boiling up mint leaves in a little water before blitzing and straining them to create a very green mint tea. We added some peppermint oil to intensify the flavour and then boiled the liquid up with sugar to create a crystallised mint-flavoured candy. 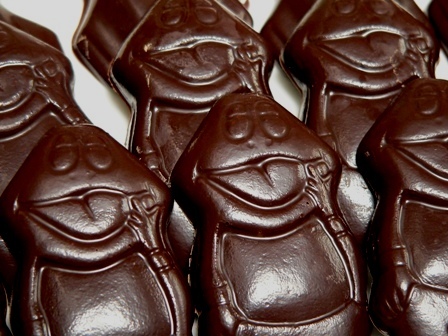 When cool, the candy was pulverised in the food processor and incorporated into a batch of tempered chocolate. The end result was a dark chocolate bar with little nuggets of mint candy throughout – a great after dinner treat! Here’s my first attempt at working the caramelised white chocolate into a cookie. Based on a white chocolate cookie recipe from Mrs Fields Best Ever Cookie Book!, these showcase the distinct flavour of the caramelised white chocolate, without being overly sweet. As always, I’ve changed the methodology a bit, adding a long rest in the fridge before the dough is shaped and baked. I think it always results in a prettier cookie! 1. Cut a 60g (4 tablespoon) chunk off the butter and chop it into smaller pieces. 2. In a medium mixing bowl, whisk together the flour, sifted bicarb of soda, and salt. Stir in the dark chocolate chips. 3. Gently heat the caramelised white chocolate to soften if necessary. Scoop it into a small pyrex or ceramic bowl with the 60g butter and melt in the microwave in short bursts, being careful not to scorch the mixture. Stir until smooth and then allow to cool slightly. 4. In a large mixing bowl, beat the remaining butter with the two sugars until combined, but not fluffy. Beat the eggs in one at a time, beating well after each addition, then beat in the vanilla and the caramelised white chocolate mixture. 5. Add the flour and choc chips and mix until just combined. Scrape the dough into a container, cover and store in the fridge until firm, at least a couple of hours. 6. Preheat the oven to 150C (300F) with fan. Scoop rounded tablespoons of the stiff dough and roll into balls, placing them onto a baking sheet lined with parchment. Bake for 20 minutes, rotating the pans halfway through the baking time. 7. Cool the cookies on the tray for a minute, then transfer to a wire rack to cool completely. This recipe makes approximately 3 dozen cookies. A couple of years ago, David Lebovitz blogged about making caramelised white chocolate – a technique he’d learnt during a training visit to the Valrhona Institute. I was instantly hooked – whilst I’ve never been a big fan of white chocolate, this caramelised version is something completely different. It’s an easy process, but time consuming, and what you see in the jars above is pure white chocolate, with nothing added. It’s been a while since I’ve made this, but a recent comment by Isabella on one of my old posts inspired me to cook up another batch last weekend. I used Callebaut White Chocolate, which is slightly lower in cacao than the 30% suggested by Lebovitz, and as a result the chocolate went quite dry and grainy during the cooking process. After a few minutes resting time out of the oven, it melted a little, and the graininess sieved out as it was poured into the jars. One thing to note – the chocolate in the jars will set solid as it cools. It will also bloom, with the cocoa butter separating out in a slightly worrying mould-like fashion. It doesn’t look particularly attractive, but it won’t hurt the chocolate at all. Just warm the jars slightly in the microwave (remove the lids first), and they will re-melt to gooey decadence. Any suggestions on what to do with our new jars of liquid gold? 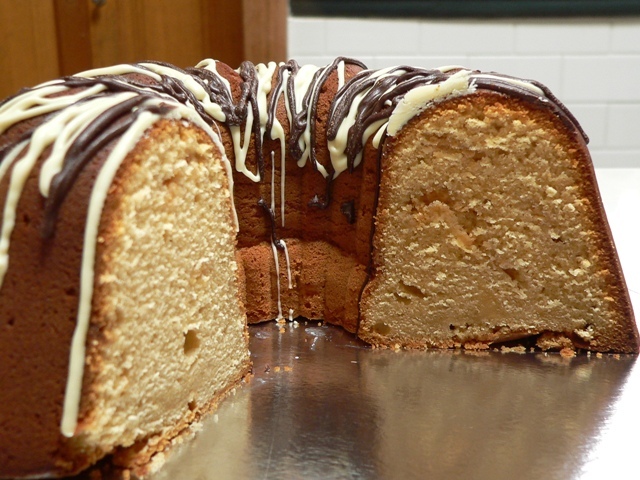 In the past I’ve stirred it into whipped cream, tempered and set it into bars and made a caramelised white chocolate bundt cake. I’m still trying to figure out a cookie or brownie recipe to work the chocolate into, and I’m pretty sure it would make a truly amazing icecream. Of course, all these machinations might be for nought – we usually end up eating it out of the jar with a spoon! 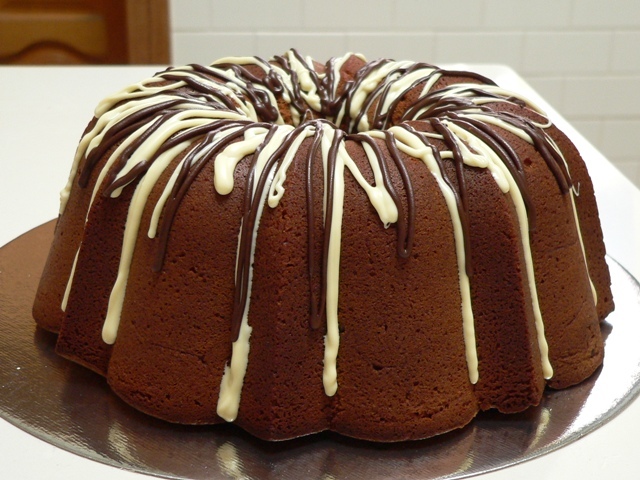 I baked a variation of our favourite white chocolate cake, substituting 115g (4oz) of caramelised white chocolate for the melted chocolate in the cake batter. The end result was a moreish, dense cake with distinct caramel and toffee flavours. Big Boy was pretty chuffed with this! 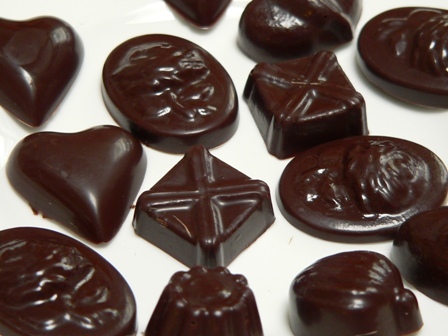 It’s Spring in Sydney, and the mild weather is ideal for chocolate making. I love watching the shiny tempered blocks pop out of their moulds. 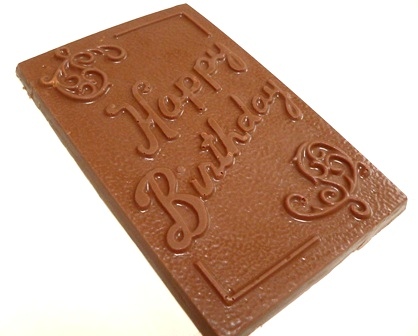 The large bar below was a birthday present for Tim, made from Belgian milk chocolate. 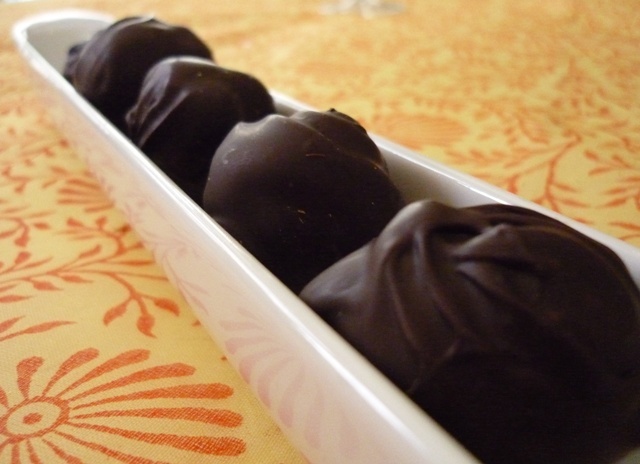 Once you learn how to temper chocolate, you’ll never be caught short for a gift again. This gorgeous mould came from Candyland Crafts in the US and I’ve used it at least a dozen times, more than justifying the $1.99 I paid for it. 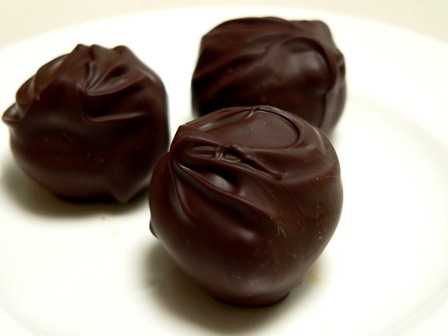 …and some very special truffles, filled with a caramelised white chocolate ganache. 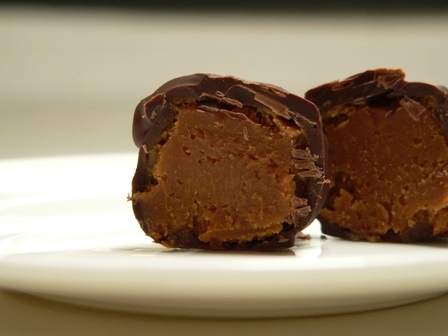 The end result was reminiscent of a burnt caramel truffle. I’d offer more detailed tasting notes, but Big Boy ate most of them while my back was turned! Did you know that a group of frogs is known as a chorus, a colony or an army? By contrast, the collective noun for toads is a knot.